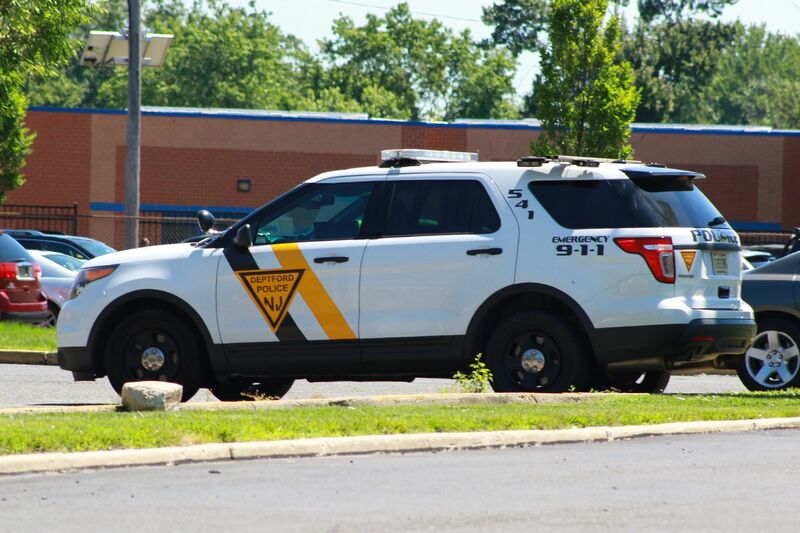 A federal review has been launched to determine whether Deptford Township Police Sgt. Kevin Clements committed any civil rights violations when he shot and killed a suspected shoplifter in June. Federal authorities have launched an investigation into possible civil rights violations by a Deptford police officer who fatally shot a suspected shoplifter who authorities allege aggressively drove toward him as she attempted to flee. The review comes nearly five months after a grand jury in Gloucester County declined to recommend charges against Sgt. Kevin Clements in the death of LaShanda Anderson in the June 9 confrontation outside the Marshalls store at Deptford Crossing. Officer in fatal Deptford strip mall shooting is praised as a role model. He’s also accused of assaulting two women. County Prosecutor Charles Fiore and federal authorities declined comment on the letter and documents obtained by The Inquirer under the state’s Open Public Records Act. The letter was in response to a request seeking the prosecutor’s complete investigative file into the case, which Fiore denied. Deptford Police Chief Kevin Pancoast did not respond to messages. Clements fired, striking Anderson, 36, of Philadelphia in the left side of her head and arm, authorities said. She died at the scene. Two alleged accomplices in the $3,400 shoplifting spree were eventually taken into custody. LaShanda Anderson, 36, was shot and killed by a Deptford police officer in June after she allegedly attempted to strike officers with her car after shoplifting at a Marshalls store in Deptford, authorities said. Clements, 42, was “fearing for his life” when he fired at Anderson’s leased Nissan Armada after she accelerated toward him and ignored his commands to stop, prosecutors have said. Chanel Barnes, the Armada’s lone passenger, and Raoul Gadson, another alleged accomplice who fled the scene, were not injured. All three had extensive criminal records, mostly for shoplifting. Anderson was arrested more than 15 times for shoplifting but also for more serious charges, including robbery and unlawful possession of a firearm. It was the first-ever police-involved fatal shooting in Deptford. Clements, a 19-year veteran, was placed on administrative paid leave. He could not be reached for comment for this article. Clements does not have an attorney and the township solicitor declined comment. The local Fraternal Order of Police did not respond to messages. In November, Fiore announced that a grand jury had cleared Clements of any criminal wrongdoing. His office presented to the grand jury the results of an investigation into whether the officer’s use of deadly force was justified. In his statement, Fiore said investigators interviewed eyewitnesses and police, and reviewed available footage and ballistic reports. Clements and another Deptford officer were dispatched to the scene in separate police vehicles after a report of a shoplifting in progress and that one of the suspects had a “hit for a homicide,” which was incorrect, he said. Capt. William Bittner pointed his handgun at Anderson and ordered her out of the vehicle, the prosecutor said. Bittner approached the open driver’s side door, and Anderson sped off, striking him in the shoulder, the prosecutor said. Bittner was not injured, authorities have said. Clements was standing 12 to 25 feet in front of the vehicle with his weapon drawn when he ordered Anderson to stop, according to Fiore. Clements then fired three shots, he said. Deptford police Sgt. Kevin A. Clements, 42, joined the force in 1999. Anderson’s family and several eyewitnesses who were not called to testify before the grand jury have raised questions about the shooting. Terence Jones, who conducted an investigation for the Gloucester County chapter of the NAACP, welcomed the federal review. “I’m happy to hear that it is out of the Gloucester County Prosecutor’s Office,” Jones said in an interview Monday. “I believe their investigation was not fair or impartial. It doesn’t pass the smell test." “It’s a blessing that they’re looking into it,” said Anderson’s niece, Traisha Way, of Philadelphia. “I still think it was murder." The scope of the investigation by federal authorities was not known. Investigators could review the probe conducted by the County Prosecutor’s Office or launch its own investigation and interview witnesses. Fiore, in email exchanges with King, declined to release the SUV that Anderson was driving, citing the pending charges against her alleged accomplices. He also declined to release personal property found in the vehicle unless Anderson’s family can identify what belonged to her. In an internal affairs complaint filed in February, Jones requested a new investigation by the Prosecutor’s Office into the shooting. He cited new evidence, including a statement he obtained from Barnes. He alleges that Clements placed himself in “imminent danger” by suddenly appearing in front of the fleeing SUV. According to Jones, Barnes, of Philadelphia, said she and Anderson fled the Marshalls store after trying to steal merchandise stuffed in a suitcase. A video of the scene inside the store obtained by The Inquirer shows Barnes struggling with a loss prevention employee and eventually letting go of the suitcase. Barnes said the two women fled and jumped into the Armada that was facing away from Clements and Bittner. The SUV accelerated in the opposite direction of the officers, Barnes said, and Bittner threw a metal baton at the back window, shattering the glass. When Anderson made a right turn in the parking lot, Clements appeared in front the SUV and fired a shot without warning into the windshield on the driver’s side, Barnes said in the statement. Chanel Barnes during a detention hearing last summer in Gloucester County Superior Court. Barnes said Anderson lost control of the vehicle after she was struck in the head by a bullet and the SUV traveled across the parking lot, and down an embankment before coming to rest at an access road. Two eyewitnesses, Olivia Scattergood and Aedan Bell, both of Clementon, gave similar accounts. The couple were shopping at the Marshalls and were placing purchases in their car when the altercation occurred. Both gave statements to the county prosecutor but said they were not called to testify before the grand jury. Bell, 23, also made drawings depicting the scene that unfolded in a busy parking lot on a Saturday afternoon. King, who also interviewed the couple, said he believes both could provide crucial details because Deptford doesn’t have dashboard or police body-camera equipment. Bell said police allowed other eyewitnesses in the store to leave without getting statements or names. Bittner and then-Police Chief William Hanstein have retired from the force. Clements has not returned to active duty, and plans to retire from his $110,000-a-year position, according to sources familiar with the case. Barnes, 38, awaits trial on a shoplifting charge, while Gadson, 43, faces robbery and assault charges. Raoul Gadson, 43, of Philadelphia, is awaiting trial in connection with the shoplifting incident at a Deptford strip mall. Family members have said that Anderson, a mother of three daughters, was trying to get her life together.